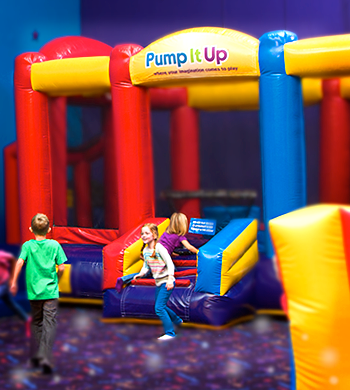 Pump It Up Glenview is the pioneer in birthday party entertainment. Founded in 2005, it was an immediate success, allowing parents to host children’s parties in a private, safe, and clean environment without all the hassles. We do everything so you can enjoy and relax at your party. 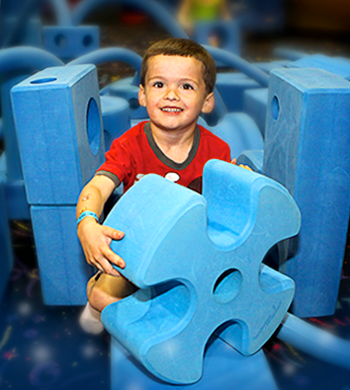 Today, Pump It Up Glenview is still the Kids' Favorite Place for many activities. It has set the industry standard for indoor safety, while providing the Northern Suburbs with a fun and healthy way to get away. We host parties, camps, field trips and any and all other events. We want to be your choice!! Pump It Up Glenview is Better Business Bureau accredited and is a big part of the community with our fundraisers. We have donated to ALL kids organizations who have asked us for donations over the years. We welcome requests. Pump It Up of Glenview is happy to support non-profit organizations. We have donated over $200,000 to local non-profits. We try to make every donation request possible, but please keep in mind that sending your donation request does not guarantee a donation from Pump It Up. If your organization has a donation request please e-mail it to info@pumpitupglenview.com or fax it to us at 847-510-0910. In the subject line, please put Donation Request. Along with the e-mail, please attach your 501(c)(3) tax exempt letter. 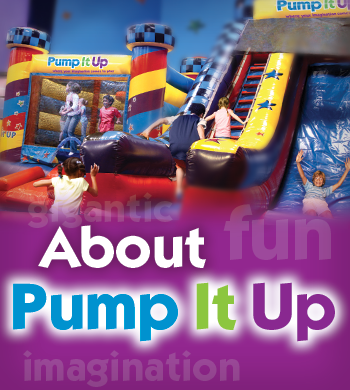 Thank you for thinking for thinking of Pump It Up and we wish your event much success. "Great Party!!! Staff was pleasant and very helpful!!" Deana V.
"Great place for kids party. Kids always enjoy. "Dana G.
- Offfer a variety of refreshments,snacks, and other items to keep you PUMPED UP at Pump It Up! There is free on-site parking and more additonal parking available behind Pump It Up. Birthday Party Event Hosts, receive a special parking spot right in front of building enterance. If you need assistance with your stroller, please see the front desk. Also, we have a ramp enterance available. Please see a staff member for more information.